2 Days 1 Night / Imagine 6 islands in 2 days! Delos Island. Board your private boat and cruise to the neighbouring island of Mykonos; Delos Island. An uninhabited island of many archaeological treasures. Discover ancient remains dating from the Neolithic times to the Roman Empire, visit her on location Museum. 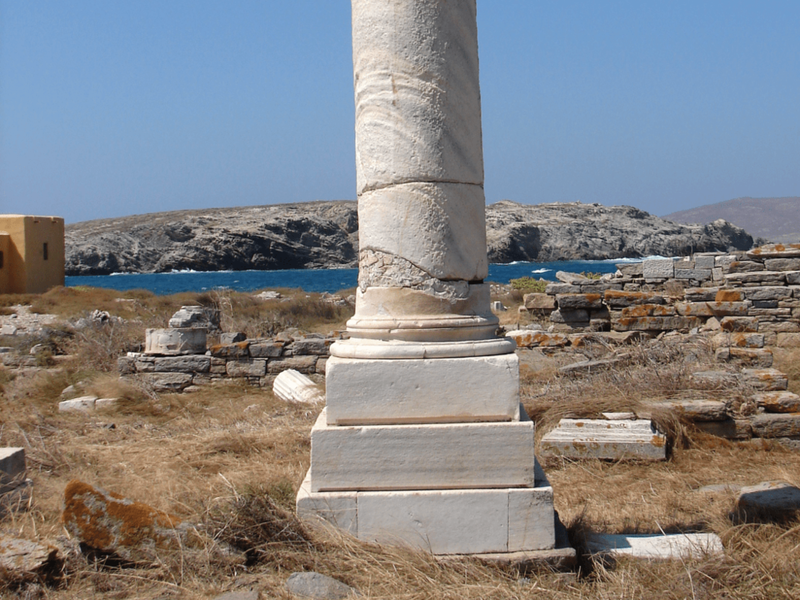 Considered the birthplace of the Greek gods Artemis and Apollo (according to Greek mythology), Delos Island is truly a unique experience not only for history and archaeology lovers, but also for enthusiasts of Greek mythology. You can opt for a guided tour by licensed archaeologists or guides (minimum tour of 1 hour - additional fee required) or per personal entry fee: 12 euros per visitor up to 15 years old. Rhenia Island. Discover her breath taking remote beaches while indulging in a refreshing and relaxing swim in her unique crystal green blue waters. Choose between mooring at the Marina of Paros island and visit Naoussa village. There local taverns and a variety of bars and local shops await you or anchor a Monastiri bay, a calm and remote bay in harmony with nature off the coast of Paros island. Wake up to lagoon like waters and enjoy and early invigorating swim. Departure for Panteronissi Virgin Islands situated between Paros and Anti-Paros. We highly suggest a lunch stop at Captain Pipino’s fish tavern, situated in the bay of Despotiko, on the Southern Part of Antiparos island. Literally a terrace on the seaside, Captain Pipinos’ tavern menus are basically of fresh local ingredients offering innovating traditional Greek cuisine including an excellent choice of fresh fish caught on a daily basis.